Armourcard woke up with the Channel 9 TODAY Show this morning! 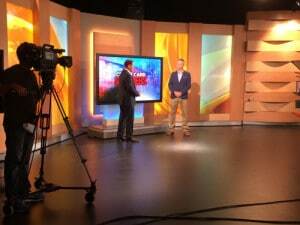 Armourcard CEO Tyler Harris was this morning a guest on Australia’s popular morning show the Channel 9 TODAY Show with Karl Stefanovic and Lisa Wilkinson. The Channel 9 TODAY Show host Karl asked Tyler several questions about the wireless skimming and how we can better protect ourselves from this growing crime. “Karl is a fantastic host and really made me feel a little more relaxed, although I’m sure when I see the piece I still will not look relaxed. Due the limited time we had I think we covered some good basic issues about this crime.” Added Harris. Thanks to the Channel 9 TODAY Show hosts, Karl Stefanovic and Lisa Wilkinson and all the people behind the show that helped me get on the show. CNET takes on Armourcard for its readers and says Aussie invention is a must have. CNET is the world’s leader in tech product reviews, news, prices, videos, forums, how to’s and more writes a review on Armourcard’s Active Micro Jamming Technology. Claire Reilly one of CNET’s Australian tech journalist after an interview with Tyler Harris the CEO and inventor of Armourcard has written a great review of Armourcard for CNETs global audience. The article covered Armourcard technology and the applications in which you use Armourcard to protect your personal data from being skimmed.